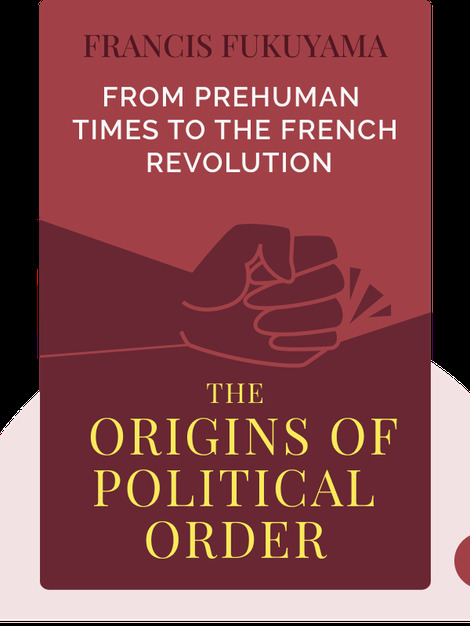 In The Origins of Political Order, Francis Fukuyama delves into the history of modern state-building. Instead of focusing on Ancient Greece or Rome like many earlier scholars, he traces political histories in China, India, the Middle East and Europe. 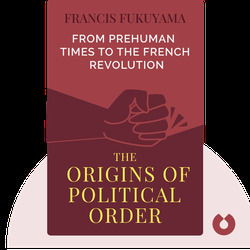 Using a comparative approach, Fukuyama explains how diverse political and social environments allowed Europe to develop many different political systems. Francis Fukuyama is a world-renowned historian and philosopher. He is especially well-known for his 1992 book The End of History and the Last Man, in which he argued that liberal democracy represented the end of political evolution – a thesis he has since revised. Fukuyama is currently a senior fellow at Stanford, and he’s lectured at John Hopkins, George Mason and many other top universities. He’s also completed research for the RAND corporation and the US State Department.